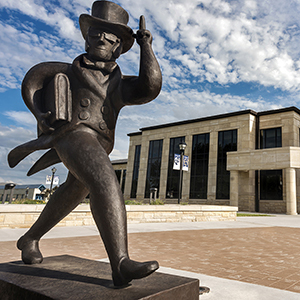 Washburn University was a big part of the life and career of Gordon Lowry, ba ’41, jd ’46, and he knew he wanted it to be a part of his legacy. His five children made sure it was with gifts in his memory to the School of Law building campaign. Lowry and his wife, Margaret, raised their family in Valley Falls, Kansas, where Gordon owned a law practice for nearly 50 years. Four of their children attended Washburn, and three of them married Washburn students. 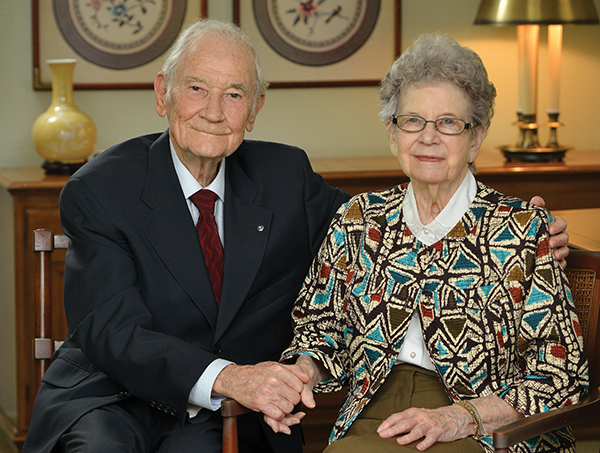 After Gordon passed away in 2016 at 98, the five children each made $5,000 gifts to Ideal Place: The Building Campaign for Washburn University School of Law. The children are Kem Lowry, ba ’64, Susan Lowry, bsw ’69, Jim Lowry, ba ’70, Stuart Lowry, jd ’85, and Lynne Lowry, a University of Kansas graduate. Gordon took classes in Boswell Hall. Later, he saw the construction of the current building and recently, the campaign to raise money for a new building. Gordon’s fondness of Washburn Law was a major reason Stuart followed his father’s example. The siblings are spread throughout the United States and Canada. They all readily agreed the $25,000 gift to the building was a great tribute to their father and his love of practicing law.